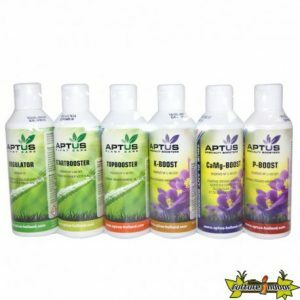 If you’re after a one bottle solution for your base nutrients, then Aptus All-In-One is just what you’ve been looking for. This liquid fertiliser can be used during vegetative growth and right through flowering, without the need to switch to a dedicated Bloom feed once the lighting has been switched to 12/12. 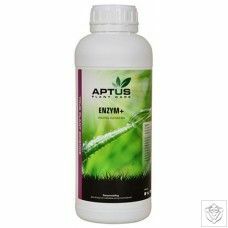 Being mineral based, it contains a balance of Nitrogen (N), Phosphorus (P) and Potassium (K), along with all the micro-elements needed for strong vegetative growth and fruitful flowering. It’s also fully soluble in water, allowing it to be used in all styles of growing, whether soil, coco or a hydroponics system. 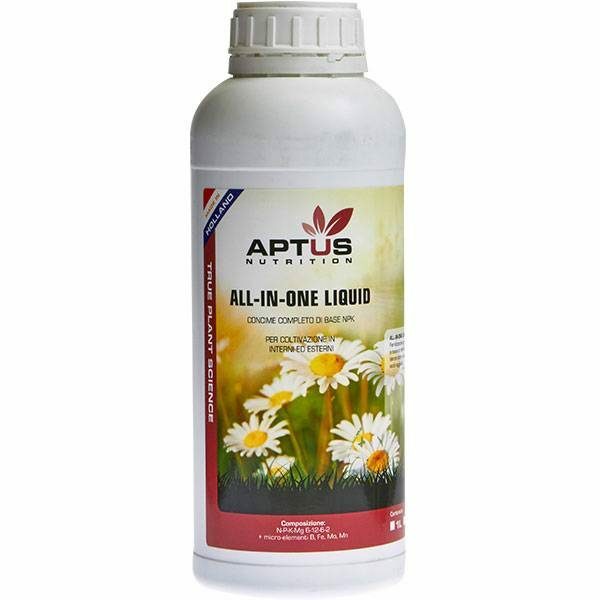 Aptus All-In-One is also incredibly economic as this highly concentrated fertiliser used just 1-2ml per litre at all growth and bloom stages. 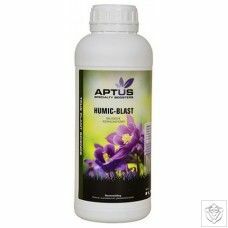 It’s also recommended for a bumper harvest, Aptus Boosters should also be used, for example N-Boost and Startbooster during vegetative growth, while during bloom use P-Boost and K-Boost to help give plants exactly what they need.